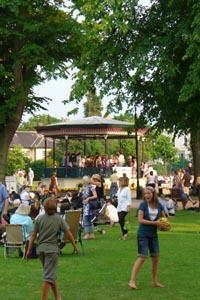 Cheltenham's council owned parks and open spaces offer a range of venues for all sorts of outdoor events. Events range from large circuses and funfairs to smaller local community events such as fetes and fundays. If you are considering organising an event on council land, please read through our special event guidance notes and information about the application process. This information is important as it will tell you what measures you need to put in place to run your event, which licences you might need to apply for, and give you an idea of how long your application is likely to take, depending on the size and type of event.